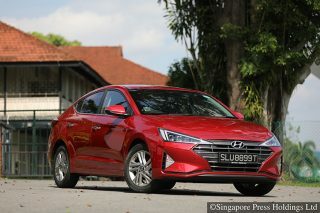 Seven years ago, the undisputed king of Singapore’s new car market was the Hyundai Elantra. Known as the Avante back then, it was the best-selling car of 2009. The fact that the Elantra outsold the evergreen Toyota Corolla Altis that year was a testament to how far the brand had come. Better styling, improved performance and keen pricing (COE premiums were a lot lower then) compelled buyers. 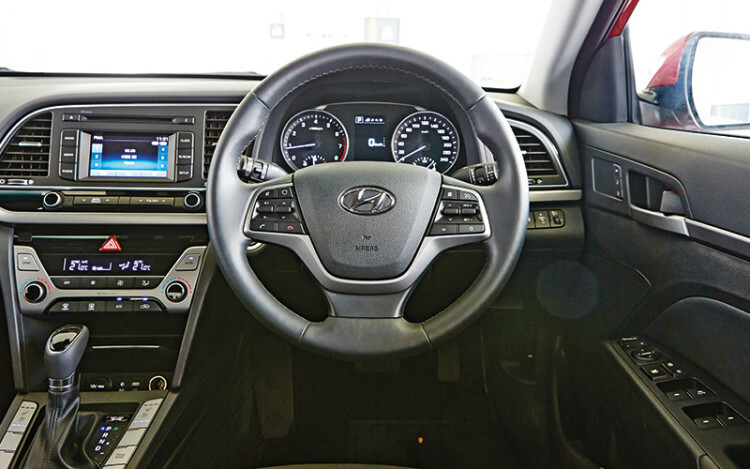 The cabin feels solidly built, and the metallic appliques enhance the interior’s upmarket ambience. The first thing you’ll notice about the new Hyundai Elantra is its massive and shark-like front grille, which resembles the one on its Sonata sibling. It makes the Elantra look as if it’s ready to swallow other vehicles. However, the rest of the automobile’s styling is an evolution of the previous model’s, with strong shoulder lines and elongated tail-lights. Hyundai probably didn’t want to alienate buyers by totally changing how the car looks. The radical redesign was instead saved for the Hyundai Elantra’s interior. Gone are the curvy lines seen in the preceding model. In their place is a more conventional and straight layout that’s also more intuitive than before. The Elite variant I tested feels atas, too. Apart from an electrically adjustable driver’s seat that now comes with memory settings (two, to be exact), the standard equipment list also includes a blind-spot monitor, dual climate zones (the previous Elite variant only had one) and ventilated front seats. Still not present, however, is an infotainment system with sat-nav. 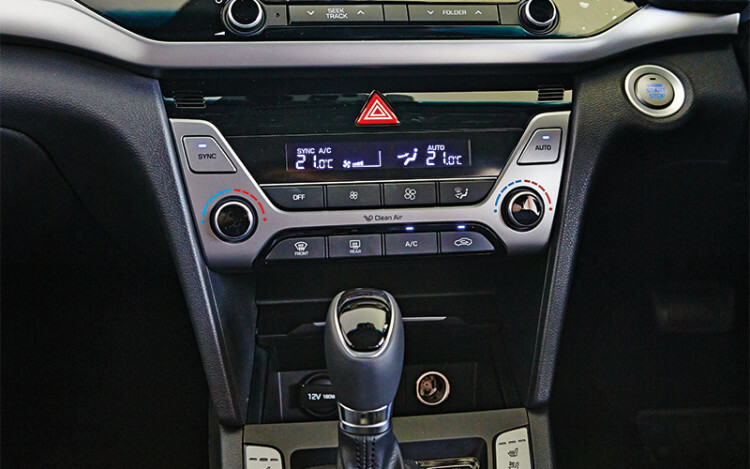 In this day and age, where even smaller carmakers such as Mazda have such systems in their vehicles, the lack of such a unit in Singapore-bound Hyundai Elantras is an oversight. Another omission that hasn’t been remedied is the lack of headroom in the backseat, which is caused by the sloped roofline. Anyone taller than 1.75m is still going to have to watch their heads while getting in and out of the vehicle. The Elite variant is equipped with a Blind Spot Monitor as standard. On the plus side, the rear bench does offer more legroom, despite the Hyundai Elantra having the same 2700mm wheelbase as the previous model. In particular, the middle occupant has a bit more room to stretch out, as the centre console doesn’t protrude as far rearwards as the one in the older model. I was hoping for an improvement in performance, but the latest Hyundai Elantra is no faster than its predecessor. 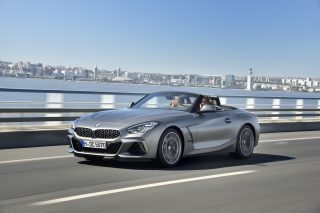 Despite having a new 1.6L engine, it still takes 11.6 seconds to accomplish the century sprint. New 1.6-litre is smoother than the older one, but its combined fuel consumption figure of 14.7km/L is basically unchanged. 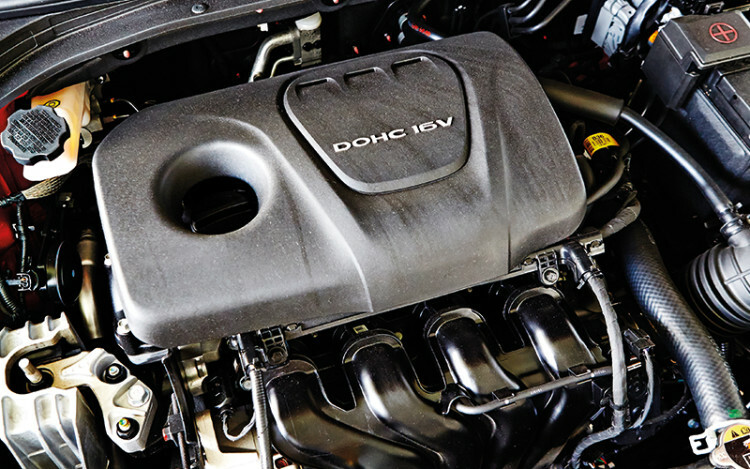 Said motor produces 128bhp, or 2bhp less than the 1.6-litre unit in the previous version. 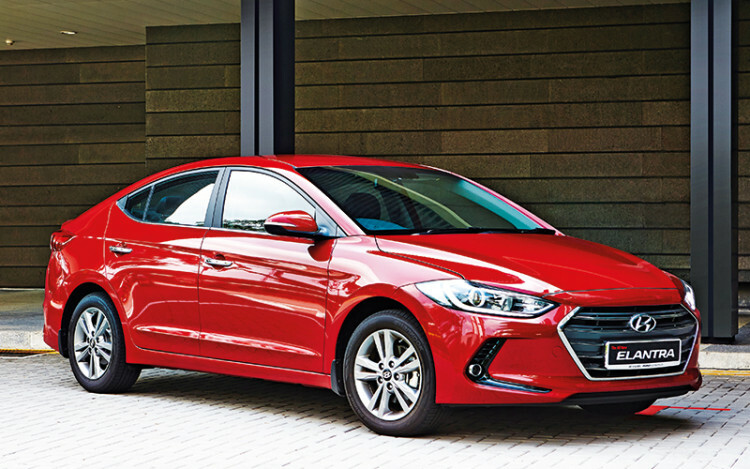 Now, although the Hyundai Elantra isn’t quicker, it has become more refined. The engineers have done a great job with regard to sound insulation – you can only hear the motor straining as it approaches the 5000rpm mark. 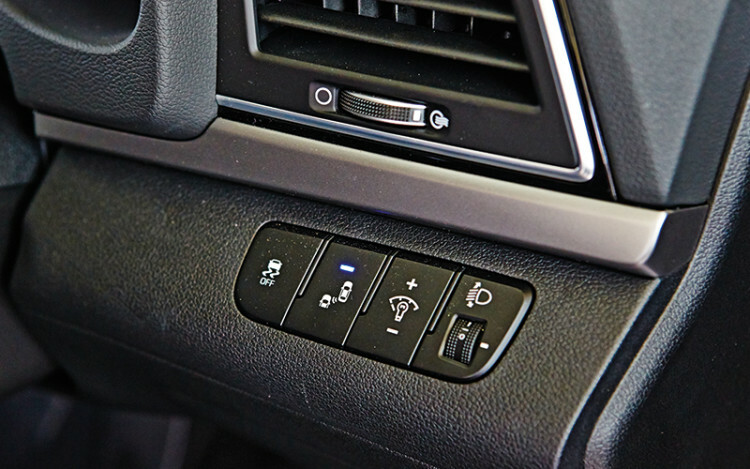 The car has a Drive Mode function that lets one choose between three settings – Eco, Normal and Sport. The last setting ensures that the gearbox holds onto each forward ratio a little longer, but it really doesn’t make the automobile go any faster. 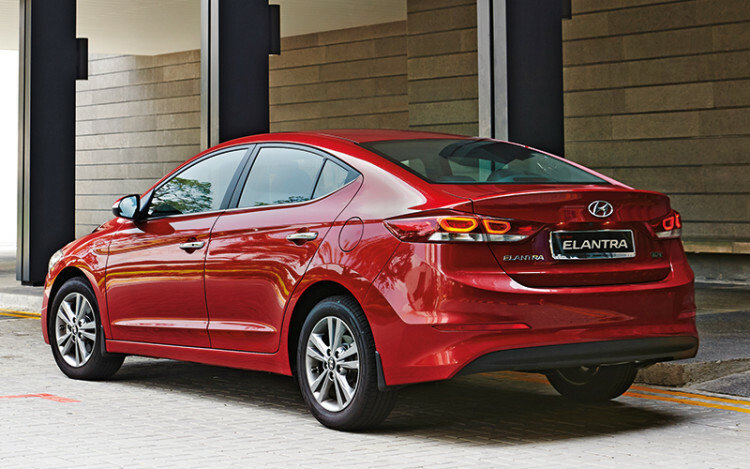 The Hyundai Elantra is best driven in a relaxed manner. This complements its more pliant suspension, which soaks up tarmac imperfections with ease. Even more impressive is the quiet cabin, which made me feel like I was driving the more expensive Sonata model. The vehicle’s cushier ride quality is a result of its chassis, which is 29.5 percent stiffer than before. Because of this, the suspension can be tuned to be more pliant, since it doesn’t have to make up for as much chassis flex. 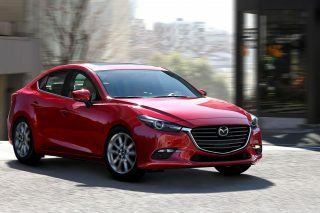 premiums today, this elegantly executed compact saloon might not rule the new car market like it did in 2009. But it’s definitely giving its rivals a big headache. At press time, the Hyundai Elantra Elite’s price tag of $100,999 is $15.8k less than the Toyota Corolla Altis Elegance, making it a very tempting proposition indeed.